With over 2000 sqm of venue space, Pezula Hotel offers versatile event space, which boast gorgeous natural light and private terraces. Top-range AV and IT equipment (including BOSE DVD and amplifiers, a Panasonic Video Recorder), complimentary Wi-Fi and mood lighting, are available in both meeting rooms to help ensure you get the technological support and ambience you need to compliment your event. Your guests are spoilt for choice - pre or post event - with the range of activities in and around the hotel. Challenge colleagues to a round of golf on the challenging yet stunningly scenic Pezula Championship Golf Course, enjoy a lavish Spa treatment with your friends or unwind in the luxurious comfort of our Suites, which are fitted with real log-fires and stunning balconies. 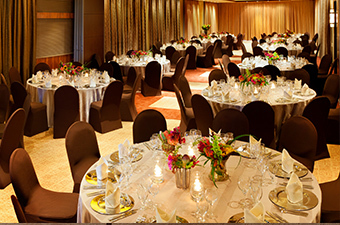 Our professional team will look after your every need, ensuring your events run flawlessly. Pezula Hotel Boardroom offers an intimate venue for smaller functions of up to 50 delegates. Enjoy the warm atmosphere with views of Knysna town and the Lagoon. 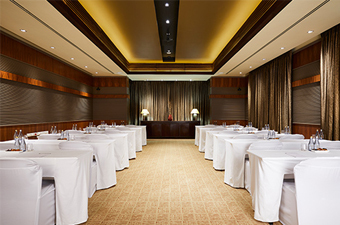 Our versatile Ballroom can be divided into two smaller sections or can be booked as a hole to accommodate up to 210 delegates. Take in stunning views of Pezula Championship golf course and the lush surrounding landscape from the private terrace.